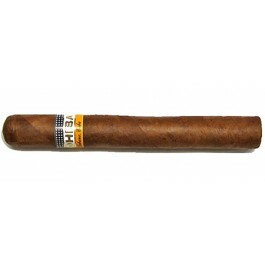 The Cohiba Siglo IV is simply the best Corona Gorda, a delicious medium cigar, of 46 ring gauge, 5.6” (143mm) long and comes in a box of 25 cigars. Cohiba is without a doubt the Cuban expert at rolling cigars, they can produce cigars of all shapes, and yet again they deliver an outstanding puro. This one competes directly to the Punch Gorda’s, and aficionados of this vitola would be surprised with the Siglo IV. Excellent cigar, very tasty with great aroma! The cigar is light and mild in flavor. It has a perfect pull and an even burn. It has a creamy taste and goes well with coffee. It's only negative, if you can call it that, is the profile isn't super full but it is a perfect breakfast cigar.